This week has been a pretty good one. I have spent time with my family as my little sister has been away, spending time with them alone has been great. 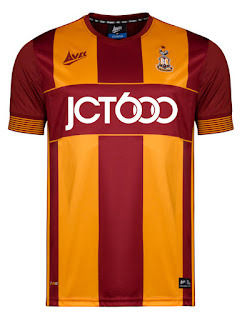 It was this week when the new Bradford City shirt was released. At 5pm on Wednesday I was sat glued to my phone waiting for the reveal and it really didn't disappoint. The image above is the result of the reveal, I can't wait to get my hands on my own and to see the away and third shirts. So here is what else I have been up to this week. Been watching : I managed to get caught up on the WWE extreme rules pay per view. Some matches were great but I felt let down by the Bayley and Alexa Bliss match. The fatal five way was great. Been reading : All I have read this week is blogs once again. I really need to try get through my backlog of books but it just isn't happening. Been playing : I have played so many matches on WWE this week. I am hoping to try start a few new games soon. Been listening to : To be honest I haven't listened to much music other than Tegan and Sara and Heart Fm this week whilst working. 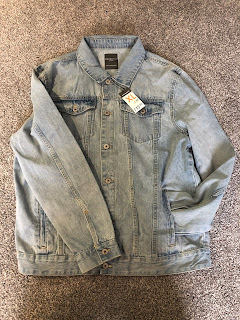 Bought : I have actually been good this week. I bought Horizon Zero Dawn with it been on offer, a new blanket and some nail biting stuff to try help me stop biting them and let them grow.